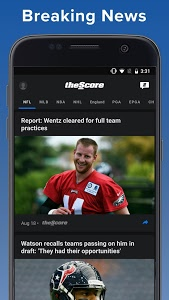 Find out why millions of sports fans prefer theScore! 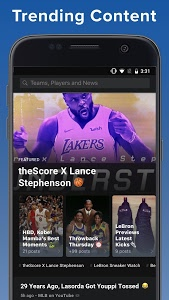 theScore brings you news, scores, stats, and videos from NFL Football, NBA Basketball, NCAA Basketball, MLB Baseball, NCAA Football, NHL Hockey, WNBA Basketball, English Premier League Soccer, La Liga Soccer, Champions League Soccer, PGA Golf - and every major league and competition! 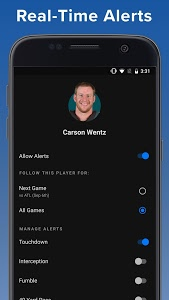 Coverage of NBA, NCAAB, MLB, NFL, NHL, WNBA, PGA, MMA, Premier League soccer and more – build a personalized ‘FAVORITES’ feed of your favorite football, baseball, hockey and basketball teams, as well as every major competition and league. 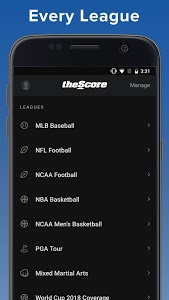 NFL, MLB, NBA, NHL, WNBA, PGA, MMA, NCAAB, Premier League soccer and more – download theScore today and always be on top of the latest sports scores and live news from your favorite sports team! 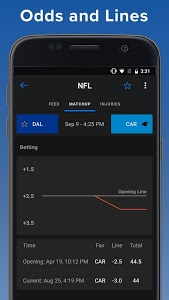 Need help or have feedback? Email [email protected] or contact us via ‘Report a Bug’ in the Settings menu. 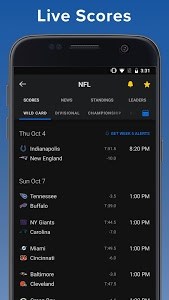 General enhancement and bug fixes. 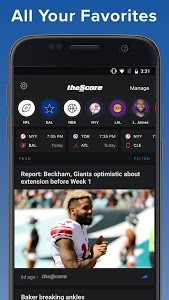 Love using theScore? 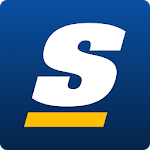 Leave us a review on Google Play - we read and respond to them all! 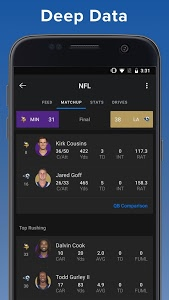 Similar to "theScore: Live Sports Scores, News, Stats & Videos"